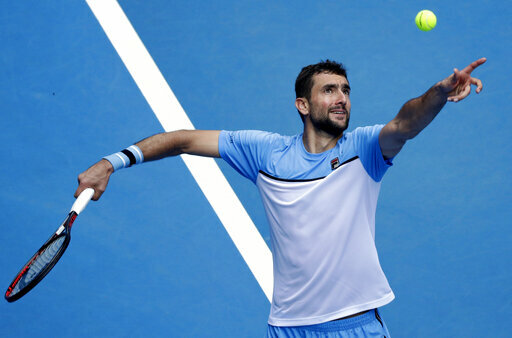 It looked as if #6 Marin Čilić’s Australian Open was over in the 3rd Round Friday night as #26 Spaniard Fernando Verdasco took the first two sets 6-4, 6-3 in dominant fashion; putting last year’s Aussie Open finalist against a wall. However, Čilić battled back to win the third set 6-1 before taking the fourth set in a tiebreaker to gain some momentum back. He would ultimately win the final frame 6-3 to take the long five-setter away from Verdasco’s clutches. Čilić was given a favorable draw to the quarterfinals and will now play another Spaniard, #22 Bautista Agut, in the 4th Round Saturday night in Melbourne. 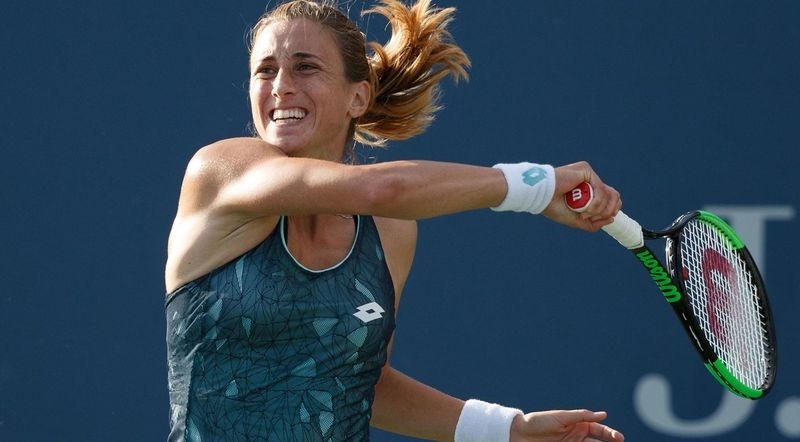 #31 Petra Martić got close to defeating #5 and 2017 US Open champion Sloane Stephens but didn’t have enough in the tank, eventually losing 7-6, 7-6 in two straight tiebreaks. Petrić was up a break in the second set but couldn’t keep the momentum against a more composed Stephens. Petrić was expected to make it to the 3rd Round. She will remain ranked heading into Indian Wells in March. #11 Borna Ćorić took care of business against unranked Serbian Filip Krajinović Saturday afternoon in Melbourne in front of a vocal Croatian crowd. After losing his first set of the tournament to Krajinović 2-6, the 22 year-old Croatian from Zagreb took control of the match and won the next three sets 6-3, 6-4, 6-3 and will now play #28 Frenchman Lucas Pouille in the 4th Round; which is the final 16 of the tournament. Pouille needed five long sets to get past Popyrin in the 3rd Round. Before this year, Ćorić had never even won a match at the Australian Open. Cilic down two sets, now going to a fifth. Ante I love you brother but are we gonna pretend like Ivica Zubac’s performance last night didn’t happen? Didn’t find a good highlight reel go the game. You have one? Probability because two of our top three prospects busted out. Hezonja due to his brain, and Bender due to his Beta personality. Zubac was always going to be solid due to his advanced offensive skill set and high basketball IQ. His draft stock suffered because he broke his leg and was out for the year before the draft. He was always considered a late lottery pick though. As for Ante Žižić, he was always going to be an energy role player. Bogdanović was always good, and is showing his value right now in Indiana. Šarić, Bogdanović, Zubac and Žižić are doing what they are supposed to be doing. Unfortunately for us, our top prospects didn’t pan out. The NBA highlight reels never feature Zubac much since it is never that flashy to see a 7’1″ guy do a slow dunk. I watched the Laker highlights posted on NBA.com and it was all Kuzma, Lonzo and KCP. Then at the end when they show the top scorers list, you see Zubac there lol. Based on the highlights, you’d think that the guy didn’t even play. Borna Coric might be the new face of tennis in a couple years. This guy is good! 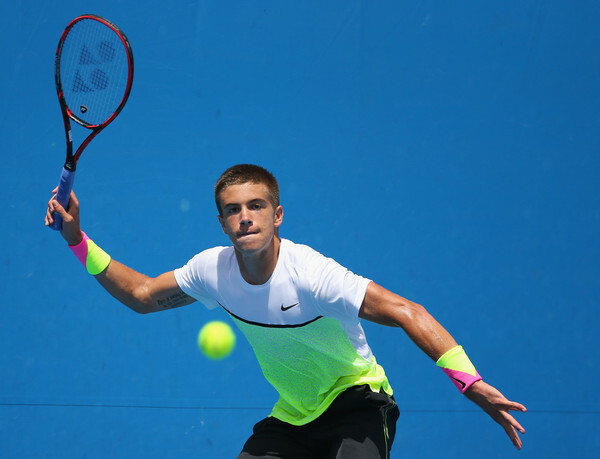 Hope Coric wins tonight or tomorrow Aussie time. That would be sweet.